Diogo Pinto is secretary general of Fondation EURACTIV, and former secretary general of the European Movement. As half of Europe is on its holidays and the other half is packing the beach towel and the sunscreen, now is a good time to reflect upon the latest European crisis and draw some lessons from it. Europe can’t go on forever, sleepwalking from one crisis to the next, oblivious to the scars they leave in an already bruised and divided society. Indeed, it would be a mistake to keep pretending that Europe will emerge stronger from the latest round of the Greek crisis, or to ignore that all the shouting at Athens, and the shouting back at Germany, sets the scene for the “NO camp” to win other referendums, too. There is a lot at stake in the eurozone, and the Greek case is quite complex. There are valid arguments on all sides, and most probably all sides are to blame. And yet, there are other cases, outside the eurozone and outside the EU altogether, in which even more is at stake. We can either use the testosterone-induced exchange we have observed over the last few weeks to approach those other cases too, or we can change course and give ourselves a fair chance of getting it right at last, and move on. Yes, Europe has faced other crises, and it has always been able to tackle and overcome them successfully. But let’s not fool ourselves: Europe has never faced this kind of crisis before. This crisis is multifaceted and cannot be reduced to a single cause. It started as a financial crisis, then became economic and is now a dramatic social crisis. But it is also a political crisis, in which the perceived lack of legitimacy fed on the lack of trust on politics and the institutions. If the eurozone crisis, and the austerity that followed, questions the so-called European social model, and the crisis in Ukraine questions the model of peace and stability enshrined by the European integration process, the debate in the UK questions the founding-fathers’ project of a united Europe. Without social progress, peace and stability or a clear path to an “ever more united” Europe, not much will be left of this project, and the EU will go down in history as yet another failed experiment. So, for those like us who are willing to give Europe a fair chance, there is only one positive choice left. We must respond to all the hesitations with a decisive and undoubted injection of real European democracy. 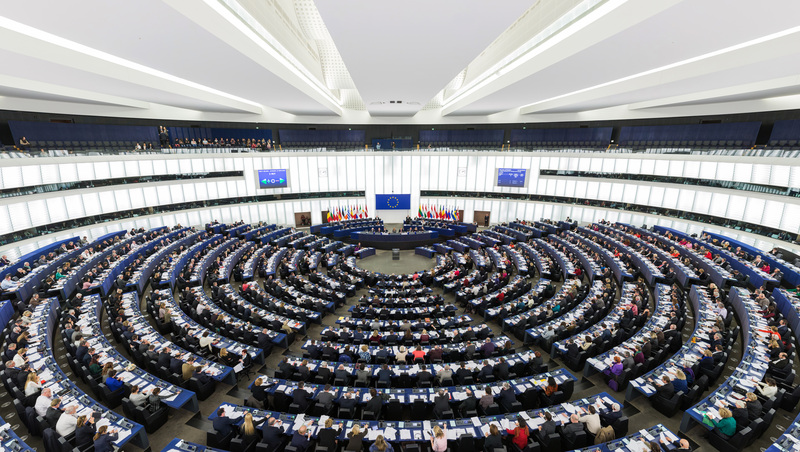 Real European elections, disputed by real European political parties, aimed at choosing a real European government in charge of a real European budget, all those can wait for someday in the future. But, as the British referendum approaches, what we cannot afford postponing any longer is a real cross-border, open, transparent and multilingual debate about the future of the EU. In such a wide debate, there are roles and responsibilities for all sides, and the media should not escape theirs. The time is ripe for a mindset change among the media actors, for prejudices to be left aside and for a new era of media innovation and cooperation and content-exchange across borders to begin. Strategic alliances among like-minded European publishers and journalists, supported by the necessary technology, can deliver what the public demands and the experts need, at complex times like the ones we live through. Bundle the national debates, identify and access the key people leading the national and the European debates, and visualise the key documents, ideas and positions influencing such debates. We have been expecting a more assertive leadership ever since Juncker promised a “more political Commission” last year and we need it more than ever. Not least because the UK can’t be bossed around as Greece was, and winning the British referendum by a small margin won’t be enough to keep the EU in one piece. Splitting the emotions from the facts should be the concern of leaders. If we get it right and focus on the future, Cameron’s initiative could actually offer an opportunity to reform the EU positively. The debate we suggest would make it possible to avoid public opinions lacking understanding and simply reproducing governments’ official lines, and an ever more united Europe would again be on track. We are ready to play our part; let’s hope others, upon their return from holidays, will be ready to join us. Thanks for your contribution Diogo. Looks like #The Eocnomist of July 11 (which I’m catching up on the beach) had much of the same point. “Like Japan, the euro zone has an internal, not an external, debt problem. However, the current crisis has shown that there is not enough political solidarity to support outright burden-sharing. Intra-European transfers are seen as a zero-sum game, in which any aid to Greece is a loss to other nations in the bloc. This has been a flaw in the euro project from the start. The only answer is political union with a central fiscal authority. But that would require voters in the 19 euro-zone member states to give up sovereignty—something the Greeks are not alone in resisting. And the EU’s sluggish growth is adding to the disillusionment with Brussels among European electorates.